Piana degli Albanesi is approximately 15 miles South of Palermo. Piana degli Albanesi, before 1941 known as Piana dei Greci. In the province of Palermo, district of Corleone, Eparchy of Piana degli Albanesi. Address of the municipio (city hall) Via P. Togliatti, 2. - Zip code 90037. We have approx. 50,000 records. Many years are missing from the microfilmed records. 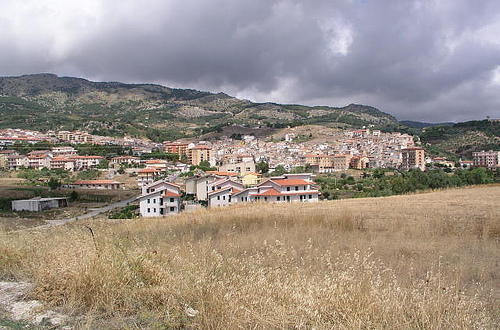 Piana degli Albanesi is the "Mother town" to Santa Cristina Gela. . Santa Cristina Gela has the same heritage as Piana as it was established in about 1750 by farmers from Piana. Santa Cristina Gela is 4 km or about 2 1/2 miles from Piana degli Albanesi. It has a little less then 900 residents. The City Hall or Municipio is on Via Giorgio Castriota, zip 90030. .